Hills Queen SHIMLA - The British Legacy KASOL - The HotSpot of Himalayas! Shimla was the Summer capital of India under British rule. Presently, it is the state capital of Himachal. The place is famous for its natural beauty, architectural buildings & Apples. 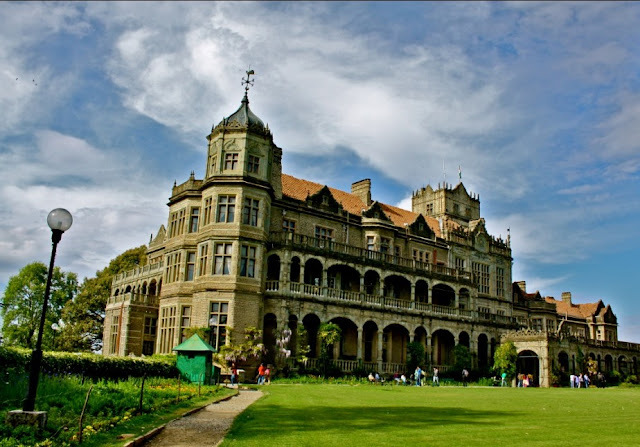 Rashtrapati Niwas built on the Observatory Hill, Shimla, the former Viceregal Lodge, was completed in 1888.The town of Shimla is built over several hills and connecting ridges. The important hills are Jakhu (2455 meters), Prospect Hill (2328 meters), Observatory Hill (2350 meters), Elysigim Hill (2466 meters) and Summer Hill (2300 meters). Britishers called Shimla "the queen of hill stations" and staying true to this saying, Shimla and its nearby areas are heavens for any kind of tourism related activities. Tourism in Shimla offers everlasting memories of rocking and quality time spent in the heart of Himalayas. Shimla with its unsurpassed scenic beauty and overall grand experience of tourism in Shimla of many kinds is sure the prime show place of Himachal. A must visiting place where there is no limit to fun and enjoyment.